The day the announcement was made for Band 2, I was watching the keynote and keeping my finger on F5, repeatedly refreshing my browser and eagerly waiting for the Band 2 "Coming Soon" page turn over to an "Order Now" page. The week before launch, I added my credit card as a saved card on the Microsoft store. As soon as the page flipped over, I pulled the trigger and reserved my new edition. 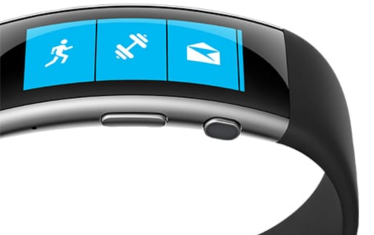 I've worn it every day since November 2, 2015 and here's what I've learned about the Microsoft Band 2 battery life, including tips on how to keep yours running all week long. 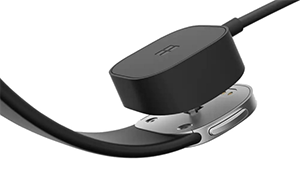 The Band is easily charged by unhinging the clasp and sliding the device off your wrist, then attaching the magnetized charger, which snaps automatically in place. A full charge for a fully depleted battery should run you less than two hours. Under normal usage, your Band will deplete about 30% per day. This includes getting notifications, syncing with your phone, controlling music, setting timers and alarms, using the daily heart rate tracking and buying coffee at Starbucks, should you be so inclined. Adding workouts to your day will drive the battery down a little more quickly, and I seem to burn about 10% of my battery when I go for a 30 min run with GPS turned on. The "bottom half" of the battery seems to charge a little quicker than the "top half". What I mean is that going from 0% to 50% seems to take about 40 minutes or so whereas from the 50% mark and higher, the Band 2 charges at a rate of about 1% per minute. Basically, I'm charging it when I get ready in the AM, which doesn't quite catch it up for what it lost over the previous day. However, when I workout, I typically shower afterwards and this gives me an extra 15-20 minutes to charge it again. So, interestingly, I actualy use up the Band 2 battery less when I'm working out more. Most Saturdays I actually wear my Band until the battery warning goes off, then I plug it in until fully charged. I called into the Microsoft support line and asked if this was a good practice for using and charging the Band 2 - essentially letting it run down through the week and then giving it a complete charge on the weekend. The support technician on the call agreed that this was a good strategy and commented that she has a similar routine. In the two-and-a-half months of use, I have not seen depreciating performance on the battery life.